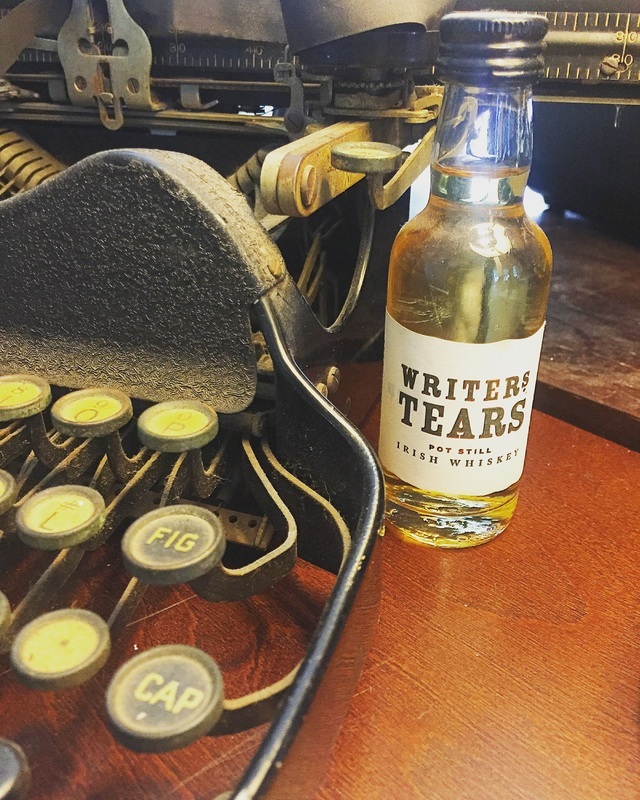 My husband and I bought this Irish whiskey from the Celtic Whiskey Shop in Dublin in May 2014, and we made a pact that we would drink it when I was done with my novel. It has sat on my desk since then, taunting me, pushing me, but most of the time ignoring me, knowing that it is totally out of my league. I stare at it as I labor, trying to pretend that I'm mostly uninterested but really holding back my own writer's tears. But you can sit there for now all smug, you little 50ml son of a gun, but one day I will drink you and oh it will be so sweet. One day...soon.